It is time for another week to share your mommy solutions and resources. Do you have a Halloween idea, a home school solution, and recipe or maybe a fall project to share? Every week I am left so inspired at the awesome creations and suggestions that are shared here! 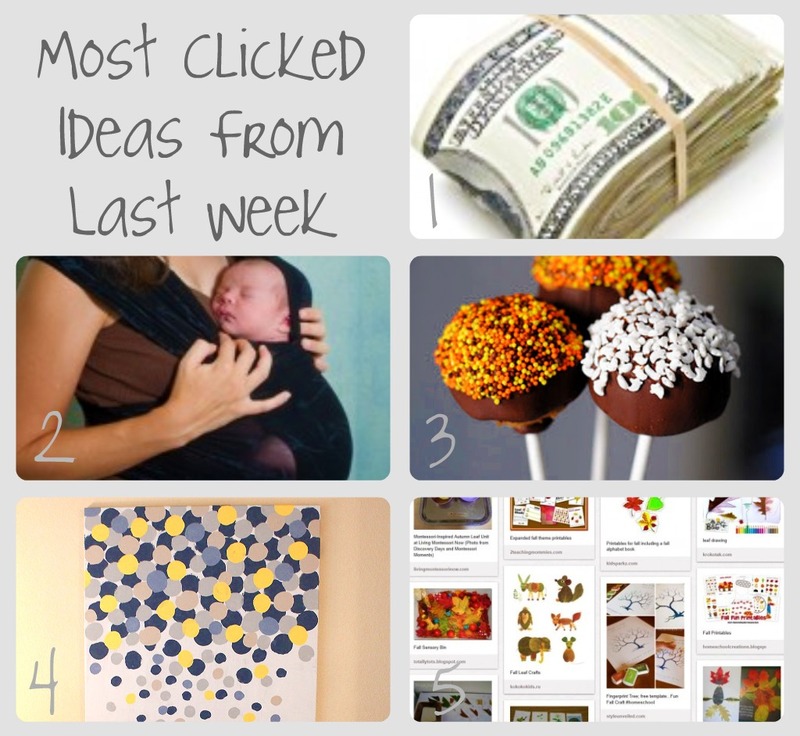 Here are the top five clicked ideas from last week. Kids Activities Blog shared 50 ways to save money. Who can not use this these days? Kids Activities Blog also shared how to make your own Moby Wrap. These things are expensive, but if you make it yourself, you save big! Want to reinvent canvas art? I love this! (Very clever blog too!) Add Some Paint shared an easy canvas art idea with us. Living Montessori Now shared a long list of resources for studying autumn leaves. This is a super cool site for curriculum ideas, rather you have little ones and looking for some preschool ideas or if you’re homeschooling. What will you share this week? Remember your ideas are being seen not only on the Crystal & Co site, but also over on Milk and Cuddles. Oh, and don’t forget to check out Shannon’s top picks from last week. Link back to us or you can wear our badge. Wow, thanks for the feature! We are glad you like you canvas art! I linked back to you today on our blackberry cobbler post, and I linked up again today – #54, Baby Flats! I love seeing all the great ideas! One of my favorites was the make your own cupcake stand.